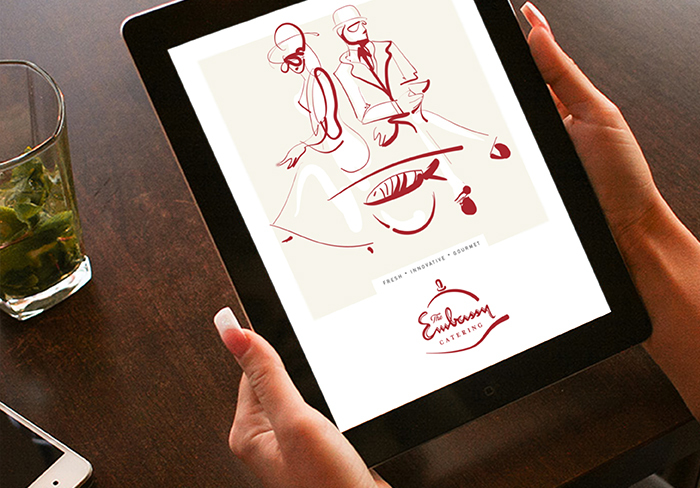 PMDIndia » The Embassy Catering | Flavor Palate Pvt. Ltd. 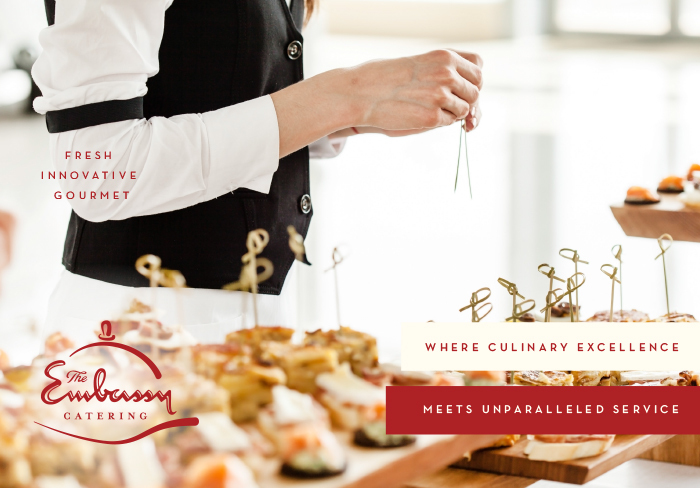 The Embassy Catering | Flavor Palate Pvt. Ltd. 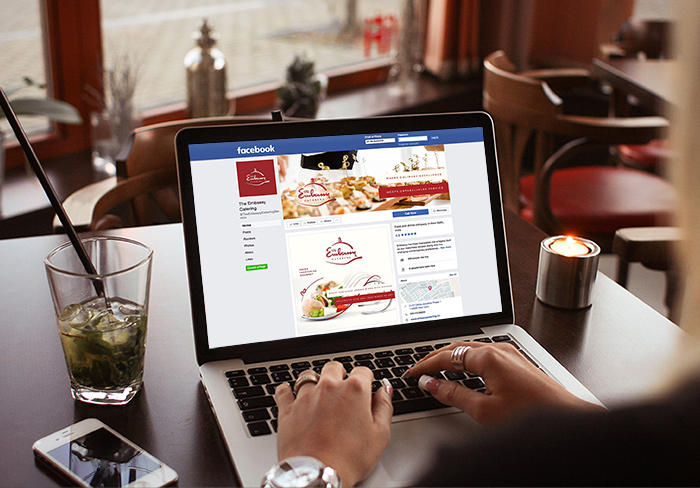 Founded by two friends with a feisty passion for food. The Embassy Restaurant, located amidst the bustling trade centres on the colonial stretch of Connaught Place; New Delhi has been running for over six decades. A legacy built on matchless recipes along with the changing contemporary preferences in cuisine. We have taken the rebranding objective ahead with Embassy Catering division as the focal point. 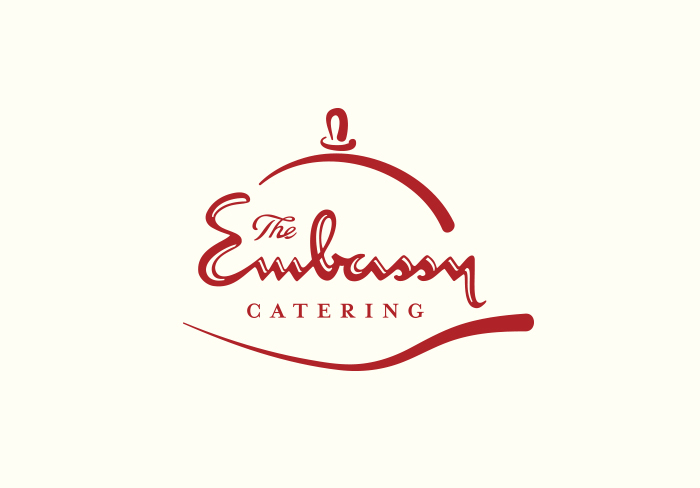 The Embassy Catering Service comprises of a team of professionals with unparalleled experience and organisational skills. 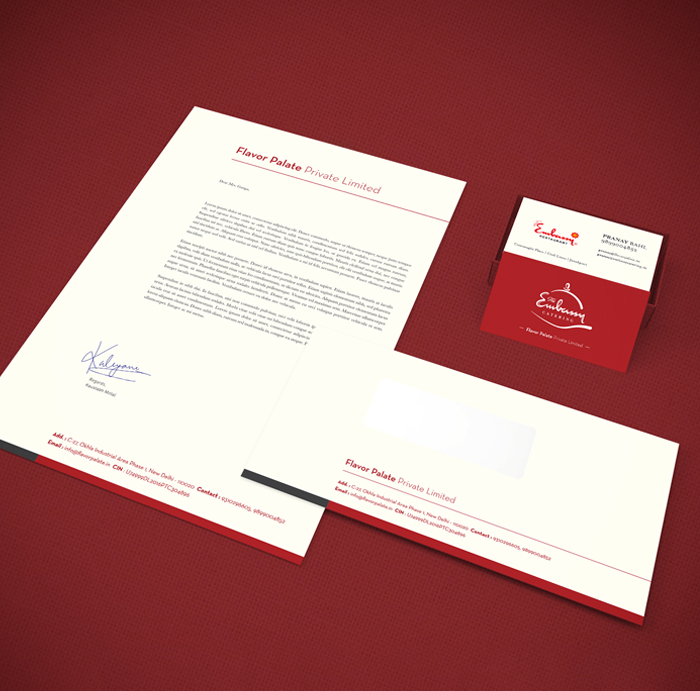 While retaining the existing brand colours that have aided its recognition amongst the customers. 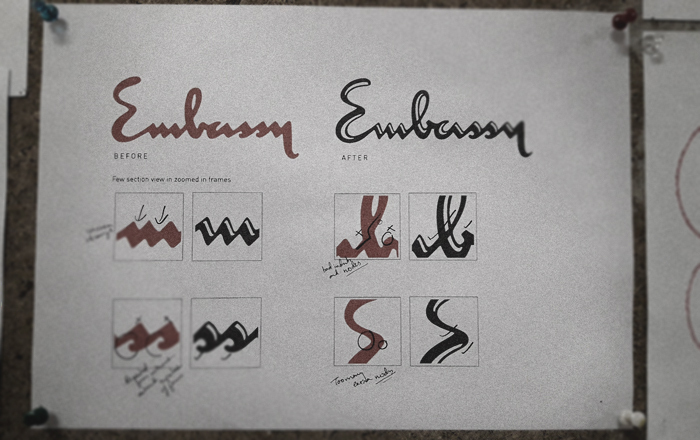 We felt that the age old word mark for “Embassy” required optical refinement. 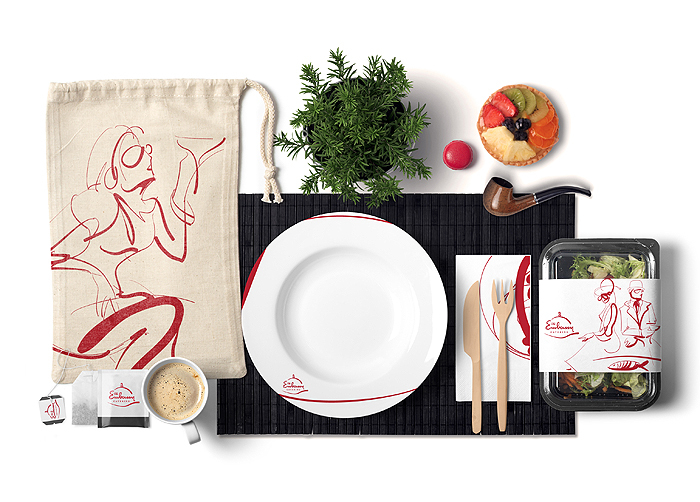 Once that was achieved, we added two stylised swooshes that satisfyingly guard the word catering set in a serif font for a vigorous brand placement. 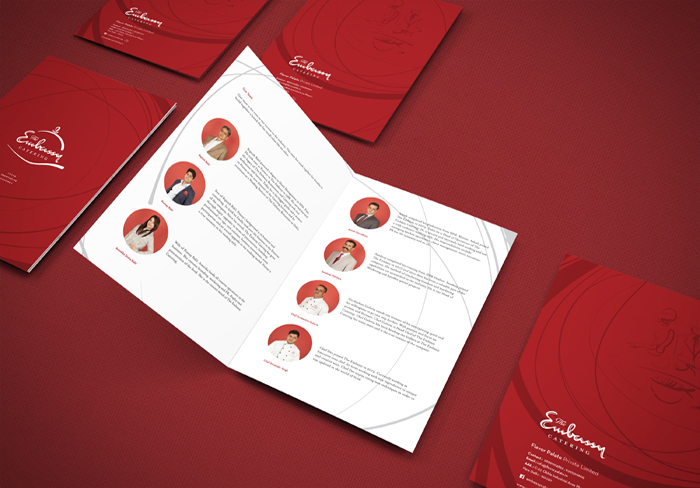 The same style was utilised to create a series of illustrations; used alongside a set of copy lines and imagery, for online marketing.